Home » Wait for Me! 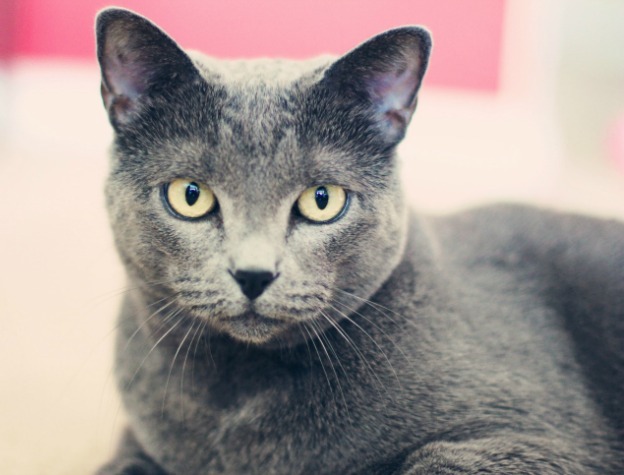 Oksana is a pure bred Russian Blue cat that her owners acquired over the internet. She is now 3 years old and is a wonderful pet. Oksana thought her life was complete. She had everything; a loving family, a safe home, and lots of leisure time. Recently, her owners acquired a new addition: Abby. This puppy is a pure bred known as a Berger des Pyrénées. Oksana reluctantly accepted her new sibling once she realized that this could be a good thing because in addition to all of her regular perks, she now had someone else to play with. Abby and her owners soon settled into the routine of taking long walks. Oksana was not invited along for this activity because cats are not normally receptive to walking on a leash, but as soon as she figured out what they were doing, she refused to be left out. Oksana has taken to following along without a leash. She walks as far as it is safe and then climbs a tree where she can wait for the return trip. She then comes down the tree and follows everybody back home. It’s official – the daily trek is now a family affair.